The Appeals Court recently issued a decision, Commonwealth v. Fredericq, relating to the cell site location information (CSLI). In its decision, the Court reversed in part and affirmed in part the trial court judge’s order suppressing evidence procured by the police by means of their warrantless tracking of CSLI data regarding the defendant’s cell phone. 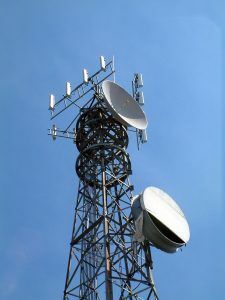 In its decision, the Appeals Court ruled that “because the defendant was the registered owner of the telephone and the billing address was his, he had a possessory interest in the telephone sufficient to grant him automatic standing. He also had actual standing because his movements were being tracked when the telephone was pinged by the carrier during the trip he took with Cassio to Florida.” The Court opined that “[t]here … was a search in the constitutional sense. The defendant ha[d] a reasonable expectation not to be subjected to extended CSLI tracking by the government, even if he is merely a passenger in a vehicle controlled by the primary suspect.” The Court then proceeded to rule (1) that under the rationale of [Commonwealth v.] Augustine, [467 Mass. 230 (2014),] the warrantless procurement of the CSLI by the police was unlawful; and (2) “that the defendant’s consent to search [his room] was tainted by the police exploitation of the illegally obtained CSLI,” such that the defendant’s statements to the police and the cash found in his room were properly suppressed by the judge. The Court opined, however, that the cocaine did not have to be suppressed because it was found in the open crawl space, a common area in which the defendant did not have a reasonable expectation of privacy. CSLI data can provide substantial information to the police about a person’s location, residence, and activities. Such information has the potentially to be extremely damaging evidence. If you or a loved one has a case where the police obtained CSLI data, it is crucial that you have an attorney who can review the data, determine whether there is a basis to challenge its admissibility, and cogently and persuasively execute such a challenge before the court. Attorney Daniel Cappetta is a skilled and experienced attorney who litigates his cases to the fullest. Call him for a free consultation today.